The double room has a beautiful view across the fields and estuary, making it a real treat to enjoy a cup of tea in bed on a sunny morning. You’ll be wonderfully warm too with the beautiful patchwork quilt made by your host, Jinty. The room has its own en-suite bathroom. 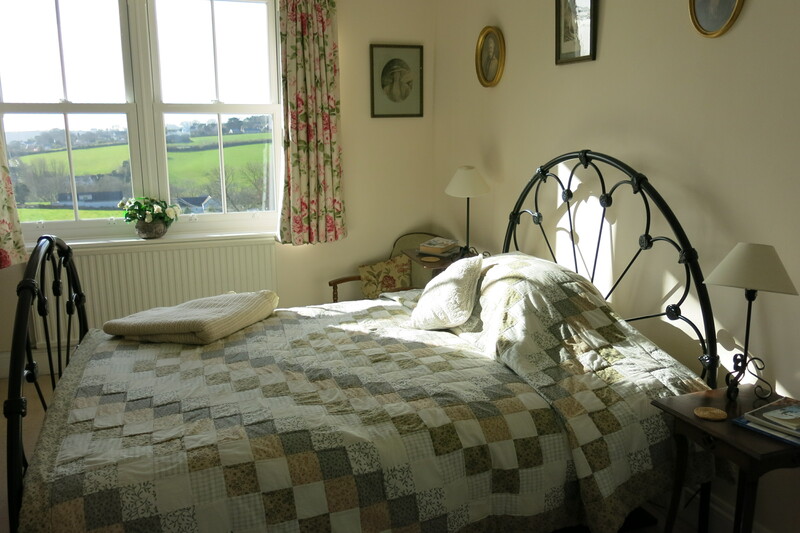 Overlooking the garden, the airy twin room has a lovely feel to it, with its beautiful patchwork quilts handmade by your host, Jinty, and a sofa for you to put your feet up after a day out in the countryside. The room has its own large en-suite bathroom which gets the morning sun and has lovely views across the fields.